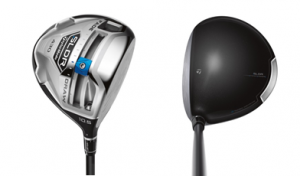 TaylorMade-adidas Golf continues to push its SLDR driver line – this time with a 430cc version that should appeal more to better players and PGA Tour players who like smaller club heads. A driver with a smaller club head generally is easier for players who like to “work” the ball right to left and left to right. The SLDR 430 will be available Dec. 20 and carry a suggested retail price of $399. The 430 model, according to TMaG, features the same technology of the 460 model. That is, low and forward center of gravity placement that promotes a hotter launch, lower spin and faster ball speed. The SLDR 430 also incorporates the same sliding weight mechanism as the SLDR 460, as well as TMaG’s TaylorMade’s Loft-sleeve technology that allows a player to adjust the loft.